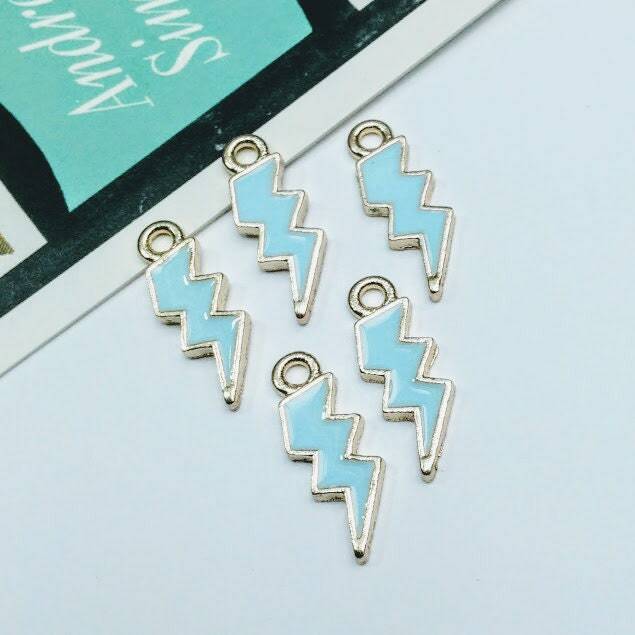 5 pale blue enamel lightning bolt charms. 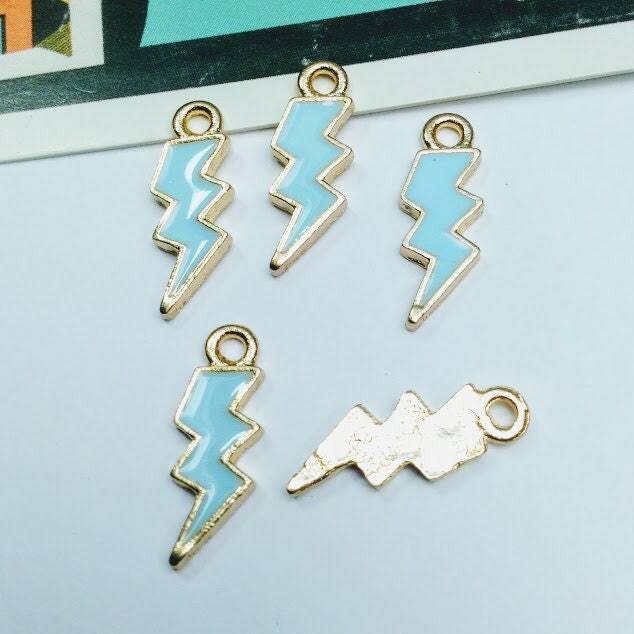 Perfect for a rock star necklace in the style of Blondie or used with clouds and rainbows in a weather related theme. Gold tone metal flat backs. Lead safe and Nickel Safe zinc based metal alloy.